Throughout his academic career, Bobby O. Hardin epitomized the University of Kentucky’s mission of teaching, research and service. This is a long way from his high school days when he doubted if he would even attend college. A native of Lexington, Dr. Hardin enrolled at UK in 1952. During his senior year, he was asked by Professor David K. Blythe and department chair R. E. Shaver to be an instructor as he worked on his master’s degree, thus commencing his teaching career. A member of Tau Beta Pi, he graduated with a Bachelor of Science in Civil Engineering in 1956 and a Master of Science in Civil Engineering in 1958. Upon completion of his master’s, Dr. Hardin was promoted to assistant professor. He then received a National Science Foundation Graduate Fellowship and graduated from the University of Florida with a Ph.D. in 1961. After returning to UK, Dr. Hardin invented a resonant column oscillator for determining the shear modulus of soil at various confining pressures. This testing was necessary to evaluate the safety of massive structures, such as nuclear power plants, when enduring major earthquakes. This research gained Dr. Hardin national renown and respect as it changed certain research strategies for geotechnical engineers. Later in collaboration with colleague Dr. Vincent Drnevich, Dr. Hardin refined the testing of soils under dynamic conditions. Along with two co-inventors, he received three patents for testing apparatus. His company, Soil Dynamics Instruments, Inc., manufactured and sold the resonant column apparatus to over fifty research institutions and engineering organizations in the United States and throughout the world. His research into the constitutive behavior of soils led to six national awards, including the distinguished Walter Huber Research Prize for his research on the dynamic shear modulus and shearing resistance in soils (1968) and the Thomas A. Middlebrooks Award for his paper on the nature of stress-strain behavior for soils (1979). Numerous other awards and prizes have been bestowed on Dr. Hardin throughout his career including the Alfred Nobel Prize (1966), the C.A. Hogentogler Award (1979), the Norman Medal (1973) and the J. James R. Croes Medal (1990), with the Norman and Croes medals being the highest honors awarded by the ASCE for outstanding publications. Dr. Hardin is a Fellow of the American Society of Civil Engineers and a lifetime member of the American Society for Testing and Materials and the International Society of Soil Mechanics and Foundation Engineering. Honor society memberships include Chi Epsilon, Tau Beta Pi, Phi Kappa Phi and Sigma Xi. Dr. Hardin served on committees for numerous organizations including ASCE, the National Science Foundation and the American Society for Testing and Materials. He has worked as an expert consultant for numerous engineering firms and institutions including the Tennessee Valley Authority, the U.S. Air Force, and the U.S. Army Corps of Engineers. He has been invited to present lectures, seminars and workshops at such institutions as the Massachusetts Institute of Technology, the University of California, Berkeley and Virginia Tech. During his tenure at UK, Dr. Hardin published numerous refereed papers, technical notes and research reports. 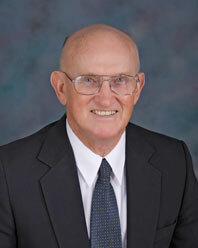 Throughout his career, Dr. Hardin has retained registration as a professional engineer and professional land surveyor. In 1999, he was selected by the Chi Epsilon civil engineering honor society student chapter to receive the Outstanding Teacher Award and received the Department of Civil Engineering Lifetime Achievement Award in 2005. Dr. Hardin was honored for his 50 years of service (1956-2006) to the university at his retirement ceremony in June 2006. At that time, Dr. Hardin was the longest-serving faculty member at UK and the last to be appointed by President Herman Donovan. Additionally, at the retirement ceremony, the Hardin-Drnevich-Huang Professorship in Geotechnical Engineering was announced. This titled professorship is a legacy for three outstanding geotechnical engineering faculty members at UK: Dr. Hardin, Dr. Drnevich, and Dr. Yang (Pete) Huang, former and retired faculty in the Department of Civil Engineering, who together created a nationally recognized program in geotechnical engineering in the College of Engineering’s Department of Civil Engineering. Dr. Hardin resides in Dexter, Kentucky with his wife Jane. They have two children and six grandchildren.